Angle Linear currently produces a line of duplexers for 220, 400, 900 and 1280 MHz. 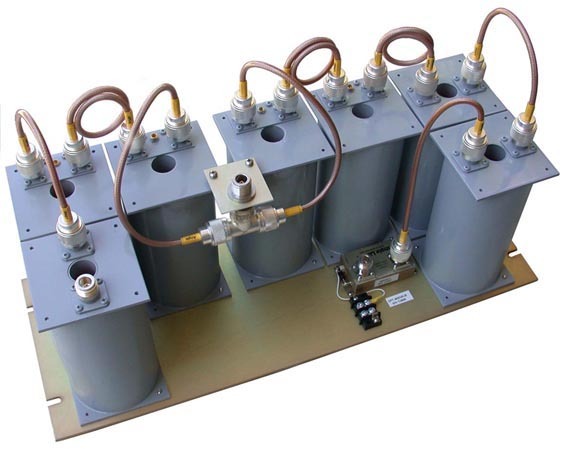 It is strongly recommended that additional band pass filter resonators be included on any duplexer to attenuate out of band signals. For that reason we include two resonators on the receiver port of our duplexers and this typically provides about 90 dB of attenuation for out of band frequencies. Duplexer specifications are typically 1.1 dB insertion loss on receive and transmit, better than 20 dB return loss on all ports, and >90 dB attenuation at Rx and Tx notches. It is also recommended to use a single pass resonator to supplement the directivity passband of your transmit isolator. We include a low loss transmit filter for this application on all of our duplexers. These duplexers come completely aligned to your frequencies, ready to use and with a low noise figure PHEMT preamplifier. Take a look at our repeater application notes. You might find some helpful information.